Leverage the leading order execution management system, unique content, and artificial intelligence for best execution. To succeed, you need an intelligent, predictive system that can get you from decision to trade first. 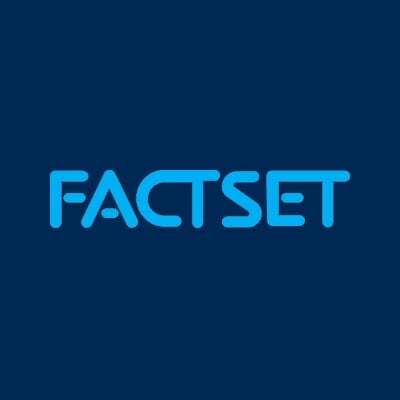 FactSet's portfolio management and trading solutions, powered by Portware Intelligence, combine the best in Order Management (OMS) and Execution Management (EMS) Systems with the unique company and portfolio insight only FactSet can provide to transform the way investment firms discover, decide, and execute. Power your decision making with real-time news and actionable intelligence. Stay on top of the day's markets with custom market summary reports that combine market and economic data, news reports, broker research, events, and performance data curated for your portfolios or watch lists. Start and end your day with scheduled overviews delivered straight to your inbox. Whether motivated by the shift to lower-fee passive investment strategies or regulators’ demands to consolidate reporting, the adoption of advanced, integrated technologies promises to help the front office provide efficiencies, reduce costs, and gain insights from connected data. Download our free eBook to see how employing advanced technologies can help you gain business advantages. 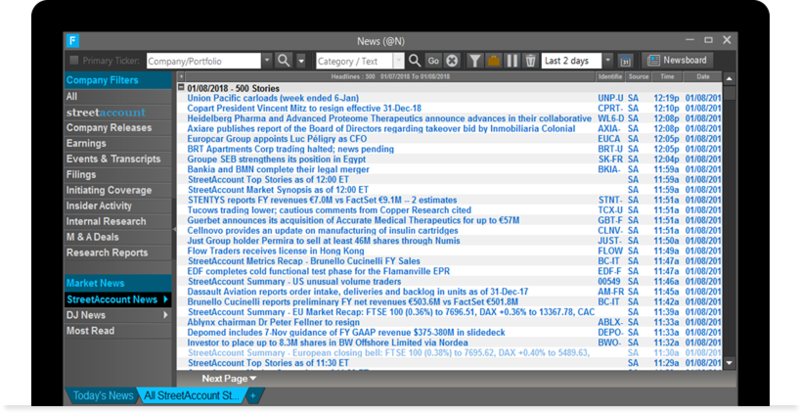 Access all portfolio holdings and maintain a transparent view of performance down to the last basis point. 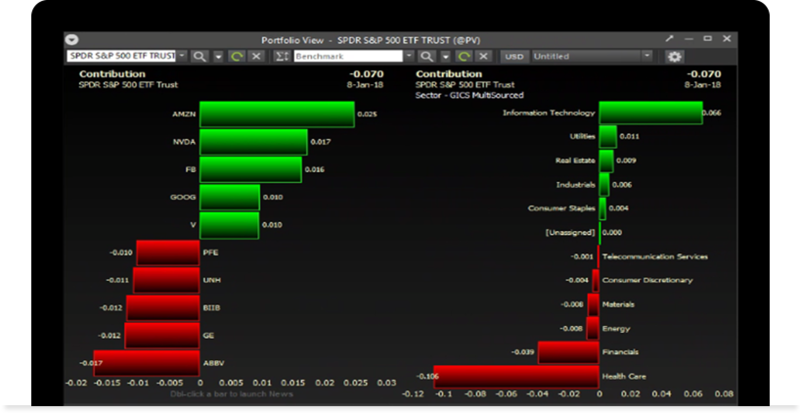 Spot unusual volume across portfolio holdings, as well as the positions that have diverged from their VWAP. 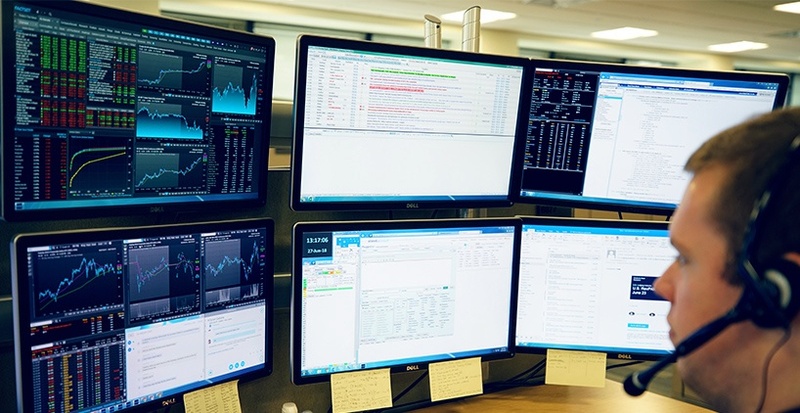 Complete the portfolio lifecycle with optimized algorithm selection and automated trading using FactSet’s range of multi-asset class order and execution management solutions, including Portware Enterprise. Know when and how to best execute a trade. 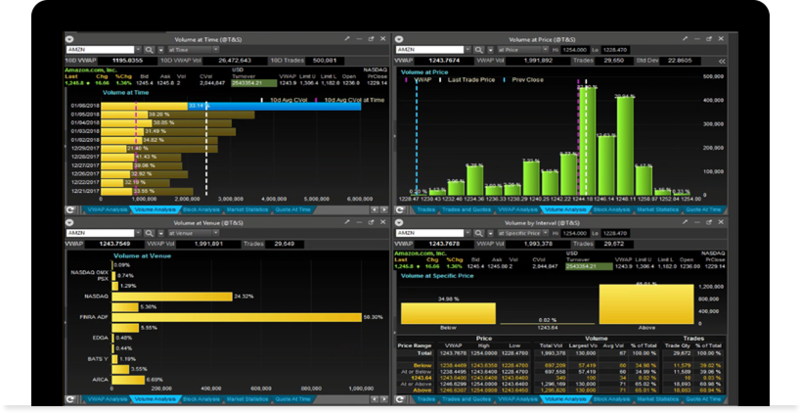 Analyze liquidity and volume by time, price, and venue to make sense of trading activity and determine your optimal route to best execution. Quickly determine if current price and volume levels support a transaction and show that your timing and routing skills have generated alpha. Teach your EMS to trade like you. Use machine learning to reduce the burden of managing straightforward, uncomplicated trades and empower your team to focus on more difficult, illiquid, or otherwise sensitive orders. Use predictive analytics to determine the optimal execution strategy. Employ rules-based automation to achieve performance at scale. 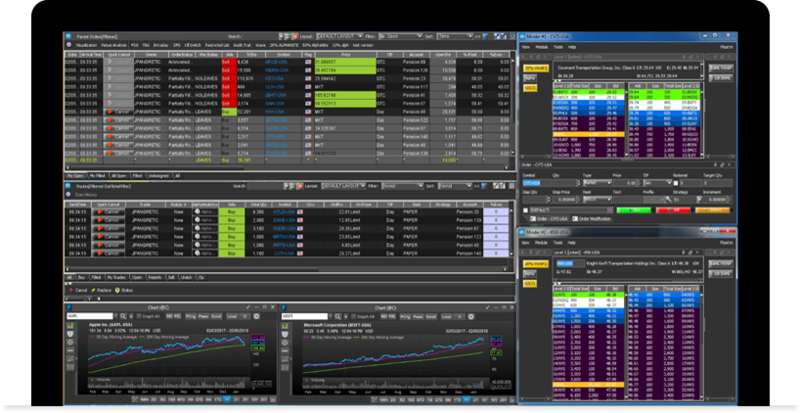 Optimize algorithm selection based on your specific order trends and watch the EMS learn how to trade like you. Work more efficiently with complete control over your workspace. Get everything you need, from robust trade analytics and portfolio performance tools to global data, up-to-the-minute news coverage, and order and execution management tools, at your fingertips. 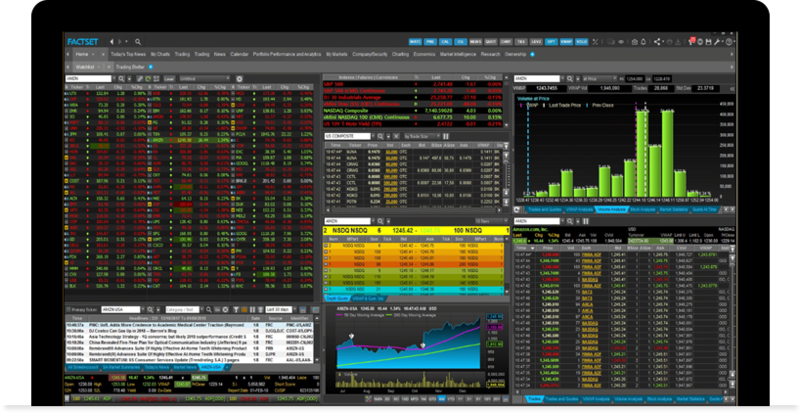 Use FactSet's multi-layered workspace, customizable right-click menu, and hot keys to access displays aligned to your daily workflow.